I love senior sessions and that's because each session is different. Each senior that I work with has their own style and own uniqueness that makes each of their sessions special to me. This senior session however....this may be one of my top 5 favorite sessions! As a photographer, you know how great the session will go depending on that very first image and Brianna's first image killed it!! This young lady was a doll to work with! Her personality and her killer looks made all of her images stand out! As well as that gorgeous car! Not only her looks and the car, but her outfits, they matched her personality and the Fall weather! 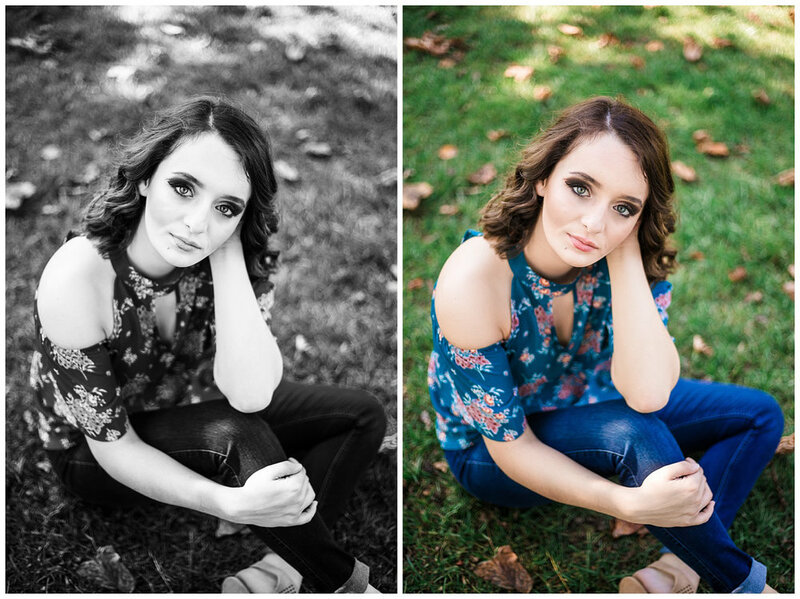 As I mentioned this is one of my favorite sessions, so check out just how much fun we had during Brianna's Fall Senior Session! !